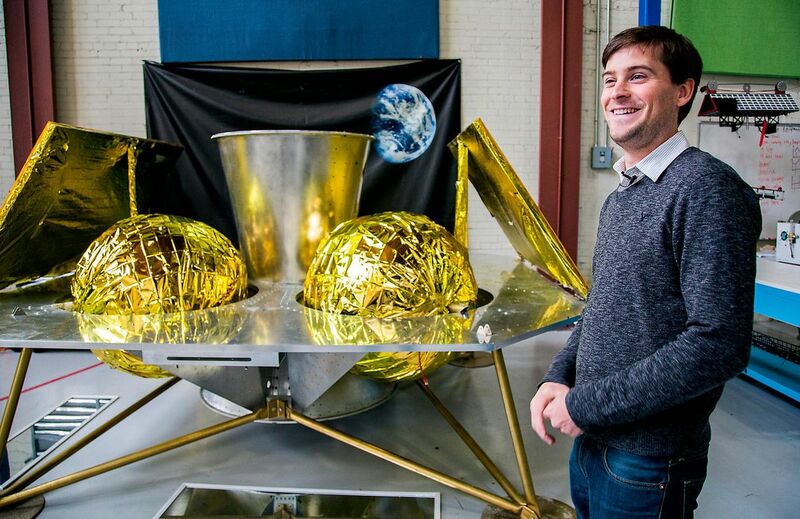 Will Anyone Win the Google Lunar XPRIZE? One giant leap for robot kind. 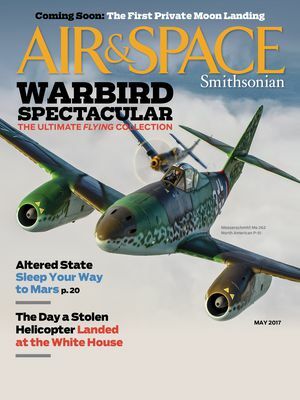 It was more a leap than a launch, the yellow-red flame splashing across a concrete slab in the Mojave Desert, firming into a cone, propelling a gangly collection of pipes, tanks, and electronics skyward. The rocket-powered leap was the show, but the onboard Landing and Hazard Avoidance System was the star. The artificial pilot guided the test vehicle a distance of 300 meters; there it hovered momentarily, then settled safely among the sandbags that stood in for lunar boulders. That was three years ago. 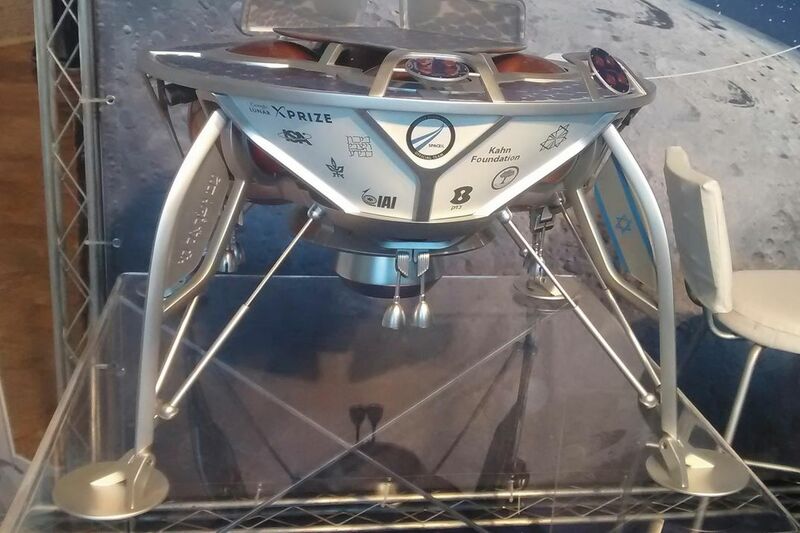 In June 2014, the developer of this computerized vision system, Astrobotic Technology, was hugging the inside rail in the latest race to the moon, one set in motion by the $20 million Google Lunar XPRIZE. Back then, it looked a lot more like a race. Announced in September 2007, the Google Lunar XPRIZE is a competition sponsored by the web giant to spur private investment in lunar exploration. The challenge is this: Teams must land a spacecraft on the moon, dispatch a rover at least 500 meters (about a third of a mile) across the surface, then transmit high-def video and images from the rover’s camera back to Earth. The first team to launch in 2017 (originally it was 2014) and land on the moon gets $20 million; the second gets $5 million. Another $5 million in bonuses is available to teams for other achievements, like if their spacecraft make it through the lunar night—that is, if they endure the weeks of sustained cold (minus 173 degrees Celsius) while the moon is in shadow on battery power and then “reawaken” once solar power is again available. Astrobotic Technology, a Pittsburgh-based outfit that hopes to offer delivery service to the moon and provide power and communications to whatever it deposits there, had emerged as one of the frontrunners, earning $1.75 million in Google money for meeting Earthbound milestones: $1 million for landing the Xombie rocket (which Astrobotic rented for its successful 2014 navigation system test in the Mojave); $500,000 for demonstrating the mobility of its prototype rover; and another $250,000 for demonstrating­ it could capture, compress, and transmit video, still pictures, and other data in a simulated lunar environment. But in December 2016, Astrobotic abruptly dropped out of the race. Astrobotic CEO John Thornton says the deadlines are unreasonable. “Many of the teams left in the XPRIZE are taking monstrous amounts of risk and frankly have unrealistic programs for getting it done,” he said after pulling out of the race. “There is very unlikely to be an XPRIZE team that lands in 2017.” To win, teams must merely launch by the end of the year; they don’t necessarily need to have landed by then. And Astrobotic still intends to go to the moon; just not on Google’s timeline. Bob Richards, CEO of one of the remaining competitors, Moon Express, says his team can do it. The mission of Moon Express, he says, is to build the space equivalent of the railroads that opened the western United States to commerce. He waxes about the moon as a “gas station in the sky” for fueling spacecraft bound for Mars and the asteroids. He predicts that space pioneers will be the new forty-niners, who drove America’s gold rush. And he predicts that Moon Express will claim the $20 million XPRIZE. But he isn’t counting on it—Moon Express has secured its own financing to the tune of $45 million, he says, and it considers the Google Lunar XPRIZE Foundation only one of its customers. In the decade since the contest was announced, the field has thinned dramatically. At one point, 29 teams were registered, but since that peak, roughly a dozen have dropped out or merged with others. Last December, an XPRIZE deadline eliminated several more—teams that could not verify launch contracts by the last day of 2016. Only five remain: Moon Express, which, like Astrobotic, has already won about $1.25 million for incremental successes; TeamIndus of India, which has earned $1 million; HAKUTO of Japan, which has been awarded $500,000; and Israel’s SpaceIL. The last is Synergy Moon, an international concern with individuals from 15 countries. To remain competitive, the five left standing will have to launch—but not necessarily land on the moon—before the end of this year. Of the five still in the running, only three have proposed to use proven rockets to reach Earth orbit. SpaceIL, which has received at least $16 million in grant money from American casino magnate Sheldon Adelson, plans to use a SpaceX Falcon 9. TeamIndus will fly on a Polar Satellite Launch Vehicle provided by the Indian space agency. 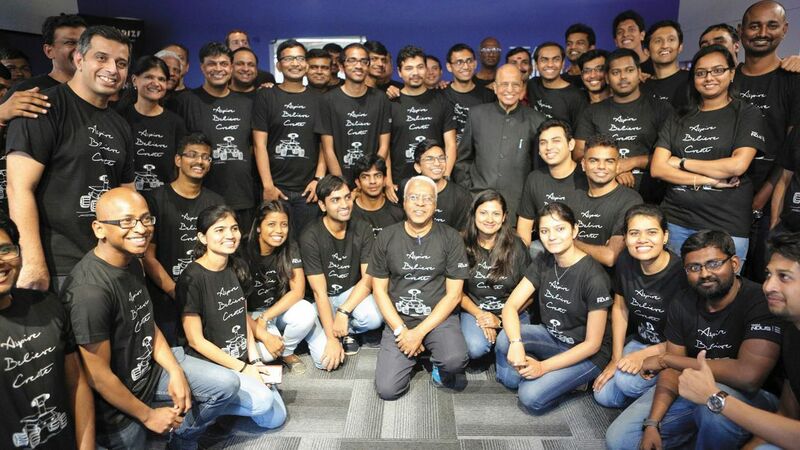 HAKUTO has made a pact to share a ride aboard that Polar rocket with TeamIndus. 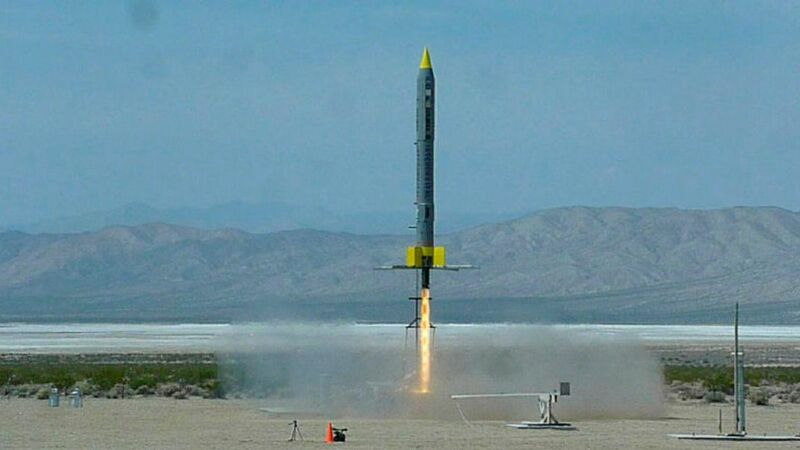 Moon Express and Synergy Moon have both proposed to launch aboard rockets that remain, as of late February 2017, unflown: Rocket Lab’s Electron launch vehicle and the Interorbital Systems’ Neptune, respectively. And no one is getting a chartered flight, as it were; all will share the nose cone with other payloads on whatever rocket launches them. Meanwhile, SpaceIL says it does not share its main rivals’ commercial ambitions, at least not yet. “Only after we complete this mission will we talk about the next stages,” SpaceIL CEO Eran Privman says. He’s conscious of a substantial level of risk, but he says his team will launch only when they believe their probability of success is above 70 percent. “If we feel that by the end of the year we need another few months to make sure that we will land on the moon, I believe we will delay,” says Privman. Beyond the material goals of the competition, SpaceIL wants to create an “Apollo moment,” Privman says, inspiring youth around the world—and particularly in Israel—to pursue careers in science and engineering. If SpaceIL wins the prize, the money will be put into educational grants earmarked for these fields, he says. Once they’re out of Earth’s atmosphere, each contestant will have a slightly different lunar commute. Moon Express plans to get dropped off in low Earth orbit, then fire the main engine of its lunar lander to enter trans-lunar injection. SpaceIL expects to use the final stage of the Falcon 9 to kick the lander into a path typical of communications and GPS satellites en route to geosynchronous orbit. Then the SpaceIL craft will also burn its lander’s main engine to reach trans-lunar injection. If all goes as planned, the trip for both SpaceIL and Moon Express will take four to five days from Earth orbit, at which time they plan to re-fire the engines to drop into lunar orbits. 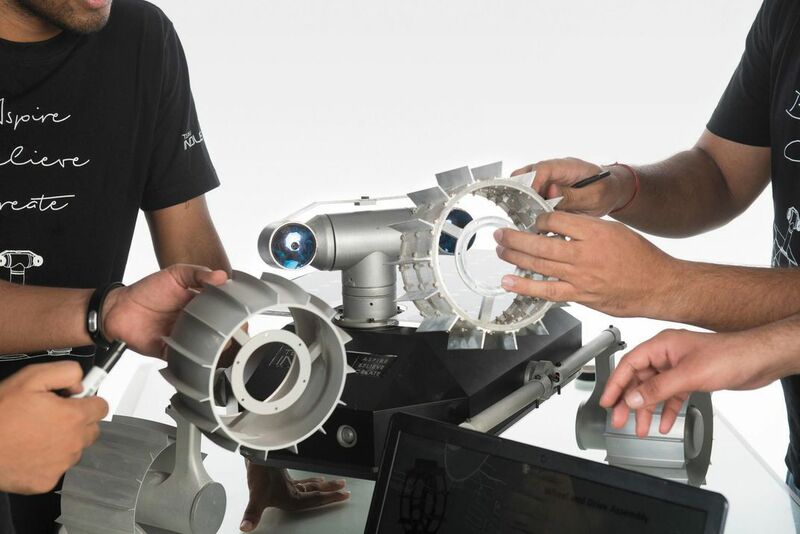 If and when Astrobotic, which is no longer in the running for the XPRIZE, heads for the moon, the company expects to follow a lower-energy route. Its spacecraft, dubbed Peregrine, will share a ride to geosynchronous orbit. After reaching orbit, Peregrine will gently fire its thrusters, and embark on a months-long, looping flight a million miles from Earth, where—in the grip of the gravitational fields of Earth, the sun, and the moon—it will fall toward the moon. At least three lunar orbital missions have done it this way: NASA’s GRAIL in 2011, the Japanese space agency’s Hiten in 1990, and the European Space Agency’s SMART-1 in 2003. Astrobotic chose the low-energy route to save money, but that savings will come at the expense of speed. Thornton expects Peregrine’s trip to take three to six months. After demonstrating that the company can land on the moon, Thornton expects demand will increase. Having more paying customers will justify the cost of a direct lunar trajectory. Regardless of the route, Astrobotic plans for its Peregrine lander to enter a nearly circular polar orbit about 60 miles above the moon. As the moon rotates underneath, primary and secondary landing sites will eventually come into alignment. Moon Express is also counting on a polar orbit. But SpaceIL is planning to enter a high inclination orbit, which Privman says is needed to access a landing site “around 45 degrees latitude.” Several landing sites along this orbit are of interest to scientists, who will use an instrument aboard the SpaceIL lander to study the nearby magnetic field. The five remaining teams and XPRIZE officials are eager to join in a new moon race, but something is missing from that picture: convincing evidence that any of these teams can actually make it to the moon. They’ve run simulations. “Millions,” Richards says. But not a single piece of any team’s hardware has flown outside Earth’s atmosphere. Nor is any likely to until launch day. SpaceIL is scheduled to fly on a SpaceX Falcon 9, which has put many payloads into Earth orbit, though none to the lunar surface. TeamIndus might have an advantage. The Polar Satellite Launch Vehicle on which it is supposed to fly has successfully launched 37 times, placing more than 100 satellites into Earth orbit. But none has yet escaped Earth’s gravitational pull. Spudis serves as senior staff scientist at the Lunar and Planetary Institute and consults with Moon Express but emphasizes that his opinions are his own. But even for the winner, a $20 million purse won’t offset the cost of going to the moon, or developing a robotic lander. It won’t even come close. Will investors see a return? A video on the Google Lunar XPRIZE website describes the moon as chock-full of “resources and clean, affordable, limitless energy,” a reference to the use of lunar materials to build solar power stations. Spudis talks of mining water on the moon to make rocket fuel from oxygen and hydrogen. But that scheme assumes that the moon would be used as a way station to Mars or asteroids. Since that use currently appears very far off, mining seems an uncertain revenue source. Other sources of income that might arrive sooner include contracts with governmental space agencies to deliver cargo to the lunar surface. But at present, no one knows if companies can make money flying to the moon. Gliding under the radar until last year were regulatory issues related to the Outer Space Treaty. Signed by more than 100 countries in the heat of the 1960s superpower race to the moon, the treaty requires government authorization and oversight of space missions emanating from each signatory’s domain. Last summer, Moon Express became the first private company to be granted approval by the United States to fly beyond Earth orbit. So what are the most pressing mission risks? Thornton and Richards agree that the biggest hurdle for private sector moonshots is the one you’d expect: money. “No bucks, no Buck Rogers,” says Richards, quoting Gus Grissom (as reported by Tom Wolfe in The Right Stuff). 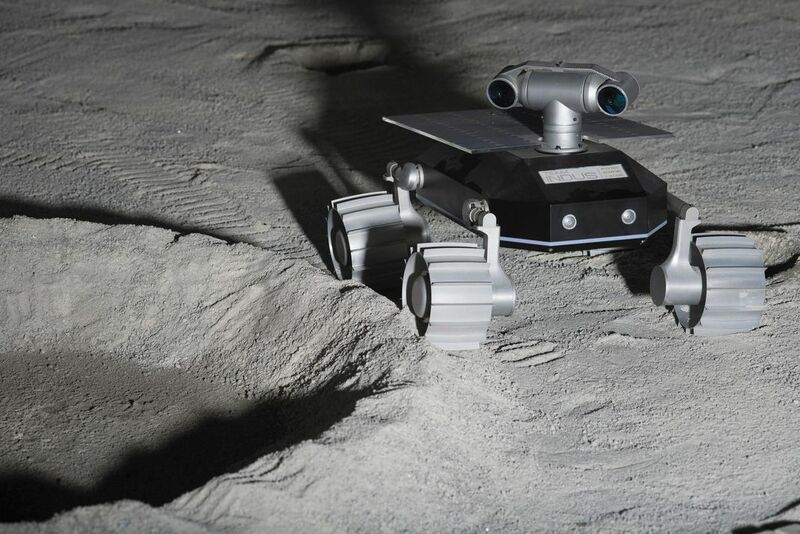 Though Astrobotic is no longer in the XPRIZE competition, the company could yet be among the first to land on the moon. Thornton expects its first lunar mission to launch in 2019, and 10 payloads are on the manifest. In addition, the company has 100 more payloads in its pipeline. Astrobotic announced years ago its intention to fly via SpaceX Falcon 9. But Thornton now says his company is seeking additional launch options including United Launch Alliance. Once it gets to the moon, the company has an entertainment goal—a holdover from its XPRIZE entry—as well as several science ones. 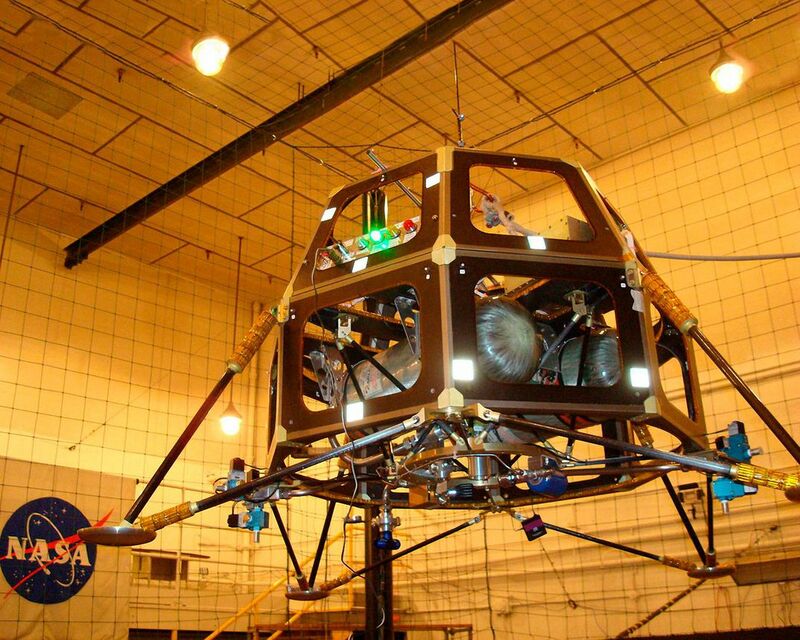 Astrobotic plans to fly rovers to the surface strapped to the hull of its lander. At least two are on the manifest: the company’s own rover and one built by Japan’s Team HAKUTO. 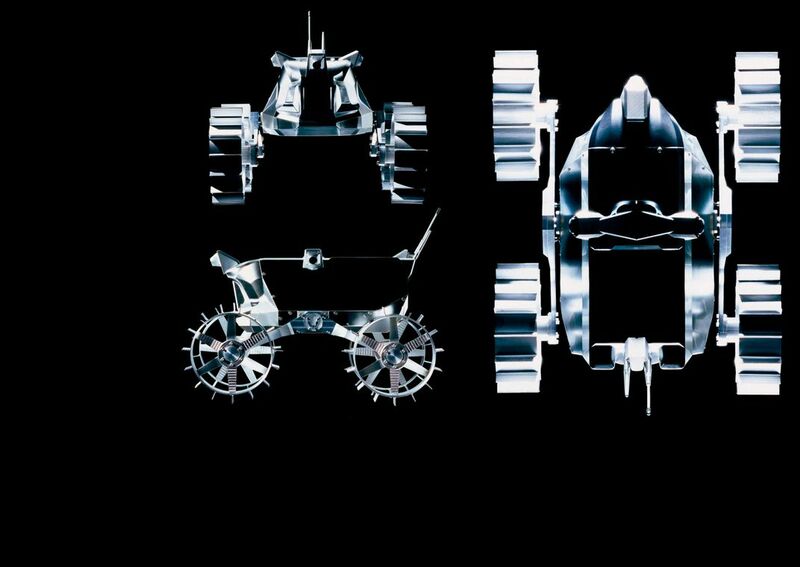 In what the company has framed as the lunar equivalent of a NASCAR or Formula One race, the rovers will roll down ramps, line up, then “sprint” to a finish line as the world watches via a live video feed. People around the world will cheer for their country’s rover, says Thornton—or whichever one they choose. 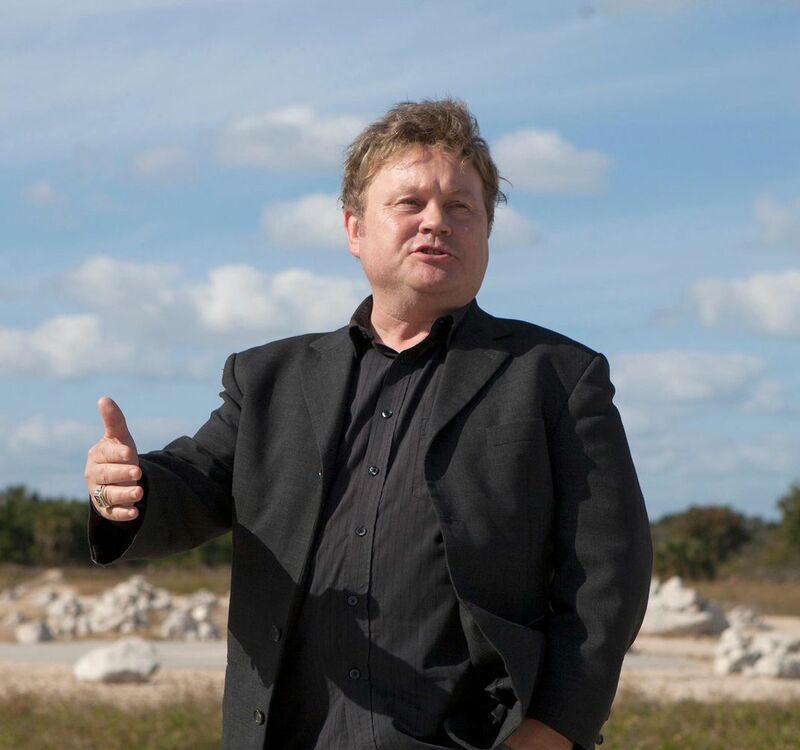 “We are just as close to the moon today as when we were in the XPRIZE,” says Thornton, who notes that the competition spurred the start of his company nine years ago, making his decision to withdraw a painful one. “They obviously have been a big help over time,” he says. 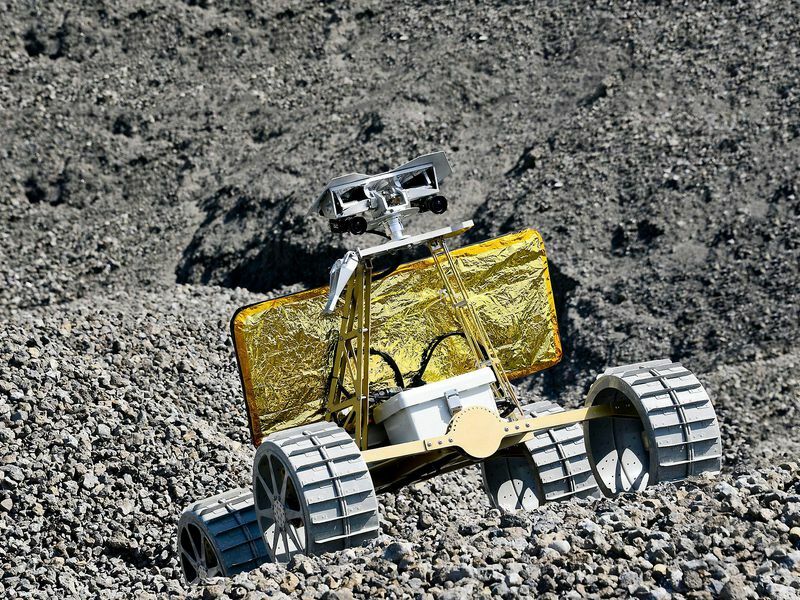 As for the grand prize and the efforts to win it, future generations may be in a better position to assess whether the Google Lunar XPRIZE served its purpose. More than a century ago—just eight years after the Wright brothers flew at Kitty Hawk—newspaper publisher William Randolph Hearst offered $50,000 to the first aviator who could fly coast to coast in 30 days. Cal Rodgers took him up on it, leaving from the Sheepshead Bay race track in Brooklyn, New York. After at least 15 crashes, two engine explosions, and dozens of mechanical problems, Rodgers completed the transcontinental crossing in 49 days. The century-old prize and Rodgers’ dogged pursuit of it attest to the belief that with persistence someone might achieve what was previously thought impossible.